Akıllı telefonlar ile ilgili İngilizce essay. 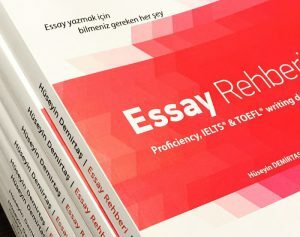 Bu essay akıllı telefonların (smartphones) artıları ve eksileri, avantajları ve dezavantajlarından bahsediyor. With the advent of smartphones, our lives have become easier. It has revolutionized the way we communicate and access to information. However as with many technologies, there are some advantages and disadvantages of having such a life-savior device. It contains thousands of unique inventions and keeps us connected all the time as well as desocializing people by making them addicted to itself. First of all, smartphones enable us access any information on the internet instantly anywhere. Lots of productivity tools can be downloaded and used on the smartphones. In addition to traditional voice call, if both speakers have smartphones, they can video call, allowing speakers to see each other. A group of people can even have real-time conversations. Accordingly, meetings can be held online and the money spent can be lowered. However, smartphones also have some disadvantages. Since they keep people connected all the time, people are always monitored. Therefore, you are bound to work eternally. However, smartphones also a have a number of disadvantages such as constant distraction and waste of time. People spend a lot of time on their phones interacting with different applications. The notifications from various apps keep people busy and distracted all the time. What is more, smartphones feature many games and entertaining apps. These apps and games take up a lot of time and cause people to waste hours every day. Nevertheless, smartphones have some harmful effects on people such as eye sight problems and lack of concentration. Using smartphones over an extended period will sever the eyes. Moreover, the notifications from applications constantly distract people. As a result, people who own smartphones will be affected negatively in their daily lives. In conclusion, using smartphones improves our daily lives by making access to information easier and by making communication with our friends and family more convenient. Yet, the use of smartphones might also bring about disadvantages such as lack of concentration and eye problems related excessive usage. Therefore, smartphones should be used with caution.